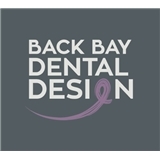 BACK BAY DENTAL DESIGN (Boston) - Book Appointment Online! There's a good reason why Bostonians have chosen Kurban & Fereidouni since 1921. It's the confidence that the care you get will always be the most advanced available, and the belief that no doctor could possibly have a more gentle way with patients. Our philosophy is to treat a patient and not just teeth. We are primarily interested in improving our patient's health and to achieve that goal, we work with an interdisciplinary approach. This means that all our doctors (with different specialties), if necessary, will review and give their knowledge to a treatment plan for a patient. This will ensure the highest quality of treatment anyone can receive. Excellent office, staff, and amazing dental work. I am always greeted warmly (and by name) when I step inside the door. The waiting area is lovely and very comfortable--beverages are provided, and the restroom is immaculate. If you arrive with a dripping umbrella, someone will take it from you and park it in the umbrella stand. Dr. Kurban is professional, efficient, and completely up-to-date in his dentistry, which we all want from our dentist, but he's also enthusiastic about what he does. On a recent visit, he invited me into his lab to see how my new teeth were being constructed, and how he painted each one individually so they would match my other teeth. Seeing what goes on behind the scenes helped me to understand what was going on in my mouth. But this is not to say that Dr. Kurban is one-sided. We chatted about all sorts of things--books, the state of publishing today, the Southwest. He has a pleasant chairside manner, and gets bonus points for this because I was so relaxed/distracted that I hardly felt the needle going in!